Mkulu African Hunting Safaris offer the best African dangerous game bow hunting packages. Bow hunting African dangerous game packages are for bow hunters who have hunted most of the African plains game and are looking to push their bow hunting boundaries. Bow hunting African dangerous game (and for that matter bow hunting any dangerous game anywhere in the world) takes nerves of steel and better than average bow hunting equipment. At times authorities make decisions that we do not understand. However, in the case of bow hunting African dangerous game, the legal requirements make more sense than not. In potential life threatening situations, it is to the advantage of the bow hunter to make use of specific quality bow hunting equipment. If not, it may cause the bow hunter his / her life. Common sense dictates not to use mechanical broad heads for bow hunting heavy-set dangerous game like Cape buffalo. 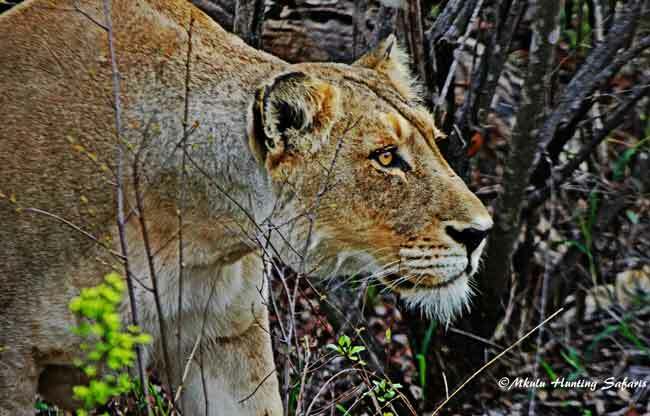 Mechanical broad heads work extremely well on soft-skinned dangerous game like the African lion. Bow hunting African big 5 dangerous game packages in South Africa by Mkulu African Hunting Safaris, and in Zimbabwe by Georgia Safaris. 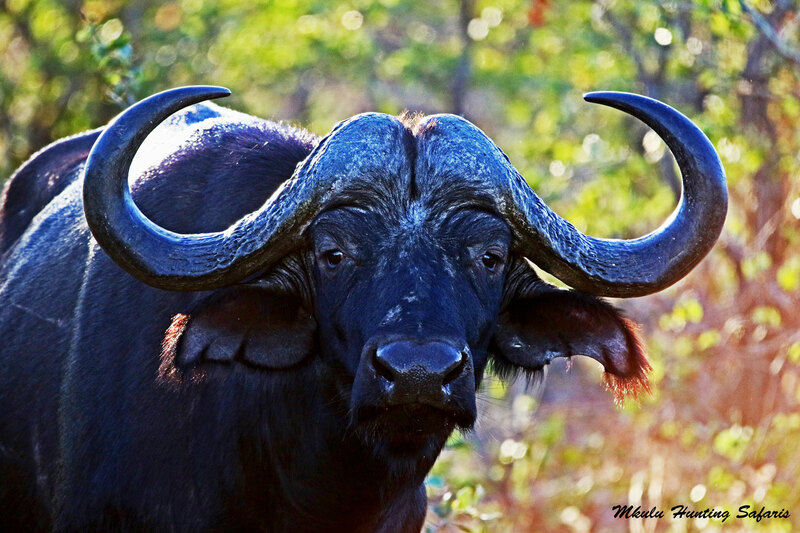 Of the African Big 5 dangerous game animals, we consider the Cape buffalo as the most dangerous game animal to hunt. They are just mean, ornirary and vengeful and it looks like they hate you personally – as per Robert Ruark. There are several legal requirements to fulfill when embarking on a dangerous game bow hunt. The bow draw weight must be of a certain poundage, arrow weight plays a role as does the type of broad head. In South Africa it is illegal to bow hunt elephants, white rhino, black rhino and, in some Provinces it is illegal to bow hunt leopards. Our African Big 5 dangerous game bow hunting packages are all-inclusive of all tag fees, daily rates, trophy fee and government taxes. 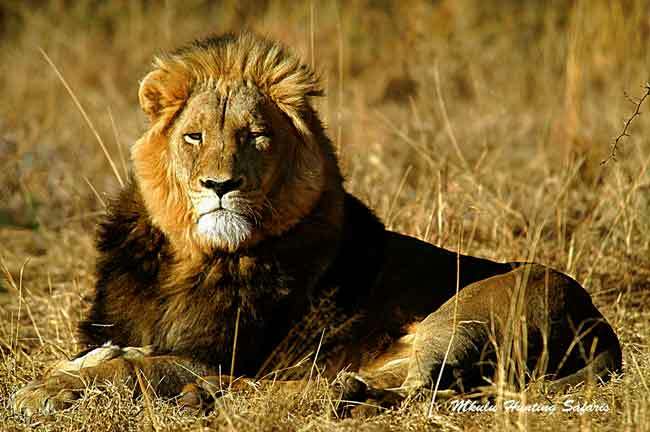 Bow hunting African dangerous game animals are subject to legislation that can change from time-to-time. It is illegal to bow hunt elephants and rhinos in South Africa. In some Provinces it is illegal to bow hunt leopards. Below are our bow hunting African dangerous game packages. If you need something else, we will be more than happy to look at your request. The Limpopo region of South Africa supports all dangerous game species. Granite kopjes in the bushveld surrounded by Mopane trees (Colophospermum mopane) indicates you are in the far northern parts of South Africa. An incredible sight to see, a great place to bow hunt. Bow hunting regulations change from time-to-time. Please inquire about the latest bow hunting regulations per dangerous game animal you would like to bow hunt. The semi Kalahari region rolls from dense shrub with interspersed Camel Thorn trees (Acacia erioloba), to open areas where the bow hunter and dangerous game face each other at mutually unacceptable distances. In the dense vegetation in many areas of the Kwa-Zulu Natal region, bow hunting African dangerous game can take place from almost point blank. Bow hunters must pay attention at all times. In most cases we need to apply for a special tag when bow hunting dangerous game. Once we have such a tag in hand we can adhere to the minimum draw weight for bow hunting dangerous game, minimum kinetic energy (KE), suggested arrow speed, arrow weight required and the best broad heads available. After 21 years in the safari hunting and safari vacation business environment we know we offer some the best South African bow hunting safari packages available in the South African hunting safari industry.